Casinos. Banks. Airports. We all know there are public places where we're being watched, ostensibly for crime-prevention purposes. But with the advancement of digital technologies, "Big Brother's" reach has gotten way wider, recording our movements—and our conversations—in a surprising amount of places. "Big Brother is becoming more and more intrusive in our private lives and until something is done to scale it back or eliminate it, it's only going to get worse," says David Bakke, Money Crashers tech expert. For the most part, there's no such thing as being "under the radar" when you're driving your car. First off, many police cars and objects like road signs and bridge are outfitted with automatic license plate readers designed to track the movements of every vehicle that passes. At a rate of thousands per minute, these readers "capture and collect the license plate number, and the date, time, and location of every scan," according to the American Civil Liberties Union (ACLU). "Police departments are retaining data on people who aren't a threat," says Jay Stanley, Senior Policy Analyst at the ACLU. "As this technology gets more densely deployed, the records of your movements will become richer and richer." And this data collection carries the potential risk that a third party could get a hold of this information and use it for criminal, or at least personal gain, says a report by the International Association of Police Chiefs. Case in point: "It seems like anyone can buy your car location now for about $10," says Alok, founder of the Epic Privacy Browser, a free browser which protects your browsing & searching online. "So there's massive surveillance of license plates by the government, as well as the private sector." You car isn't the only thing that's being monitored on the street, according to Bakke. "The Department of Homeland Security has spent millions of dollars on high-tech video cameras that can monitor you as you walk down the street," says Bakke. 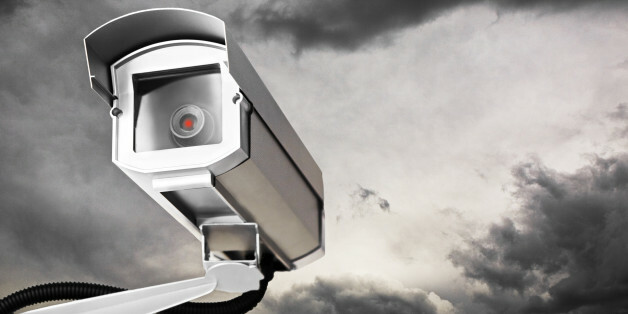 For instance, an ACLU report from 2012 says the City of Chicago "has access to 10,000 publicly and privately owned cameras throughout the City…and in the downtown district, virtually every segment of the public way is under video surveillance." NPR also reports that there is a growing trend of medium- to small-sized cities are spending "hundreds of thousands of dollars" on surveillance cameras and software. Is any of this street surveillance lowering crime rates? A 2011 study by the Urban Institute's Justice Policy center found that with proper monitoring and community education, areas with security cameras saw reduced crime rates, so while it's potentially invasive, use of surveillance cameras does show public-safety benefits. The Department of Homeland Security has funded installation of public bus video and audio surveillance in numerous U.S. cities. "Video cameras are permeating our public spaces," says Stanley. "We've even seen some moves on buses to put microphones on them. We don't think that's legal." Cities that already have listen-in bus surveillance: San Francisco, Baltimore, Detroit, Hartford, CT, Concord, NH (Park & Ride system), Boston (high-def video only). In Detroit, city officials and the police department insist that audio/visual surveillance on buses will deter crimes and allow the police to more easily prosecute offenders. While it's no secret that loyalty cards are intended to create repeat customers by offering exclusive benefits to the cardholder, did you know that the purchases you make on it are being tracked and analyzed, as well? "What you buy with credit and loyalty cards, that data, is regularly sold and bundled with your online browsing data," says Alok. "[That way] an advertiser on Facebook can target only people who buy Cheerios and Metamucil, for example." And he suspects most card companies collect data about your personal shopping habits, citing Visa and Mastercard privacy policies that allow the company to "perform data analyses" unless you explicitly ask them not to. While it's not legal for the government to listen to the content of private landline or cell phone conversations conducted entirely within the U.S., the National Security Agency is allowed to collect phone call metadata (i.e. : time, date, location, phone numbers of each party), and has been doing so since 2001, says Bakke. However, the NSA can legally listen in on your conversation if you're talking to someone who's out of the country. "Cell phones reveal your location, and companies want to retain and use that information," says Stanley. "There's no reason they should be [allowed] to exploit that." In the not-so-distant future, your couch-potato time may become a public experience. "There is technology that's built-in to so-called 'smart' TVs, which would allow the cable company (or potentially the government) to watch you through your television," says Bakke. "To date, however, it is not being used for that purpose." As reported in a Rossen Reports segment on the Today show in 2013, it's shockingly easy for a hacker to plant a virus on your computer, allowing criminals remote access to the webcam (to watch you) and microphone (to hear you) on your computer. Clicking on a strange link you don't recognize within an email could be the access point for the virus. But hackers and predators aren't the only culprits. "It was recently reported that the FBI can access your webcam in a remote fashion – they can turn it on if they want, as well," says Bakke. According to a recent Wired article, the NSA has a specialized spy tool called GUMFISH that can commandeer cameras on "infected" computers to take photos and record conversations from unsuspecting private citizens. The #1 tip for protecting your privacy: Put a piece of electrical or duct tape over your computer's camera when you're not using it. "The FBI can access saved email messages, pictures, and files," says Bakke. "There are also a variety of government agencies that monitor social media activity." Is everyone familiar with "cookies"? Not the kind you eat with milk, but rather the small pieces of data stored in your browser (ie: Google, Internet Explorer, etc.) that track the web sites you visit and make your experience smoother by remembering your passwords and items you've viewed while online shopping, for example. The data gleaned from these cookies gets fed into huge databases; market analysis companies are getting better at connecting your surfing identity with your offline identity—for a profit, says Stanley. "It's the Wild West — they can sell [that information] at any time," he says. "There's no overarching protection in the US." When it comes to Internet monitoring, Stanley says there are two main groups who have access: the government (including the NSA and local police departments) and the private sector (i.e. : the advertising industry). And both groups, can deduce a fair amount about you, just by looking at which web sites you interact with, he says. "If you know that I have communicated with a website for struggling gay teens, you don't need to know what was actually said to know things about me," he says. Surprisingly, advertisers enjoy more unfettered monitoring access of inter-U.S. web activity. "The government is limited in the amount of data it can collect," says Bakke. "But businesses and the private sector can essentially collect all the data they want without government oversight. It's much more pervasive." The private sector is as efficient and intrusive as possible, with the goal of selling you products, says Stanley. "Every time you load a web page, various ads show up—an auction takes place about which ads will be shown in those few seconds," he says. Bakke believes the private sector benefits most from this spying. "In my opinion, a lot of the government surveillance isn't necessary. Some of the retailer surveillance can make for a better shopping experience for consumers." Truth or myth: Is Betty White older than sliced bread? How do your bathroom habits measure up?